If you didn't think you knew what "open-source algorithmically-generated computer music" was, don't worry. It rocks. And Drew Krause is a master at it. 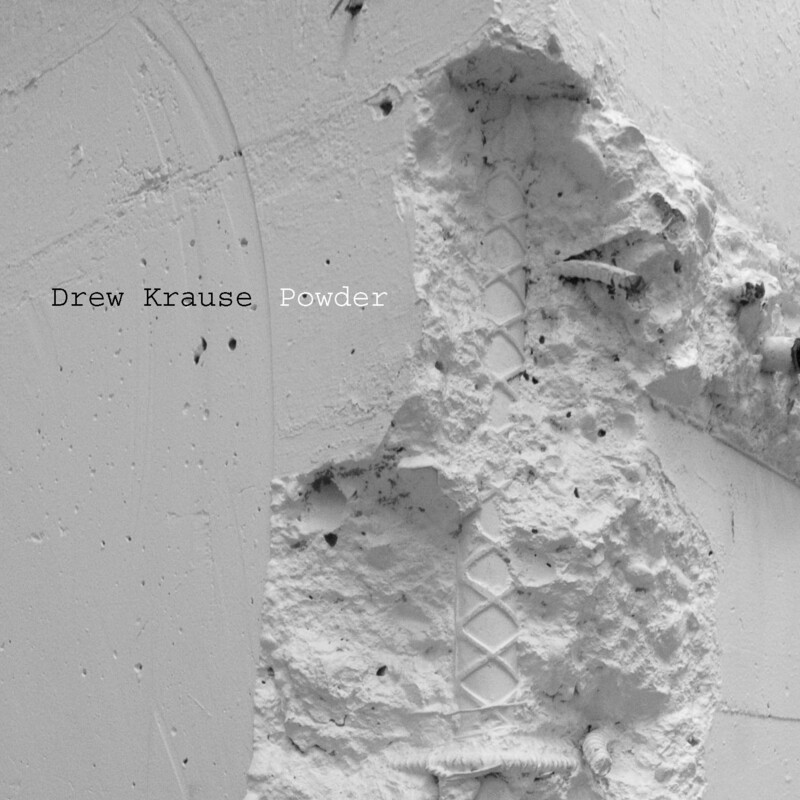 Powder is his first full-length album; it bleeps and burbles, swings, synth-pops and gyrates in ways any adventurous listener with a quirky sense of humor would love. These intricate virtuosic compositions render structures borrowed from mathematics, biology and linguistics in a colorful and light-hearted fashion. You don't need to have tested high in those subjects to enjoy the results. Krause went through the University of Illinois and Juilliard, and he is joined on Powder by more New York new music stalwarts: Taimur Sullivan, Margaret Lancaster and Whitney LaGrange. A prodigious composer and active performer of new music, Drew Krause is also versatile in the area of electronic music, producing exciting studies of computer generated sounds that burst with invention and dynamic energy. The works on this 2007 release break down into two distinct categories: "pure" electronics, of which Powder (2003), Lounge Hell (2001), and Solar Music (2003) are excellent examples of Krause's uncompromising and assertive style; and duets for solo instrumentalists with electronic backing, such as Tweety (2003, recorded and edited 2005), Panic (1994, recorded and edited 2004), and Airline (1995, recorded and edited 2005), which have more of a collaborative, jazz-imbued feeling. The energy levels are high throughout this disc, so it takes adventurous types to make it all the way through in one sitting; however, there is enough variety in Krause's music to make the journey interesting and colorful, even if it is a test of one's mettle. Flutist Margaret Lancaster, violinist Whitney LaGrange, and alto saxophonist Taimur Sullivan, the respective performers in Tweety, Panic, and Airline, play with great dexterity and virtuosic accuracy, and their compelling performances give Krause's music a vibrant human dimension that is less evident in the computerized soundscapes. Innova's recording is quite hot, so watch the volume. ... Mr. Krause successfully weds an invisible veneer with relentlessly varied atonal and quasi-tonal lines, an impressive timbral inventiveness, and a penchant for cheesy patches harnessed to sophisticated algorithms. He is contributing some edgy, original material to a niche that walks a thin line between the "serious" and the "vernacular," but from the vantage point of an informed, academic viewpoint. Connections between the live and computer-generated parts are hardwired and invariant. Most of the electroacoustic sounds are unambiguously "artificial,' giving the disc a dated sound, but one that is anthropologically highly suggestive. Easy listening this is not, although it is certainly satisfying. At the risk of being controversial, compare the concept of computer music with that of organ playing; the organ is itself a machine, controlled by a human player, where the variation in sound has the primary impact on its listening audience. In essence, the computer has the same function. The range of sounds available to the computer player is enormous – any combination of programming functions or algorithms can produce sounds which can be as diverse as a sine wave or a model of a flute. When judging music of this kind, the prime consideration really should be regarding the ’technique’: the choice of content and the musical structuring of the material, as well as the emotional response it creates. The music here is constantly evolving, never static and always offering something new. It appears well structured and held my attention. I was, at times, moved to dance, although only after a couple of hearings. This is an interesting CD and one that certainly has appeal for the open-minded. The performances are all excellent and Krause’s compositional style is consistent and mature.